What better place to people watch, listen to your favorite artist, enjoy a cold one or just party with friends than at Melody Mountain Ranch during the Larry Joe Taylor Texas Music Festival, which wrapped up its 25 year this past weekend. 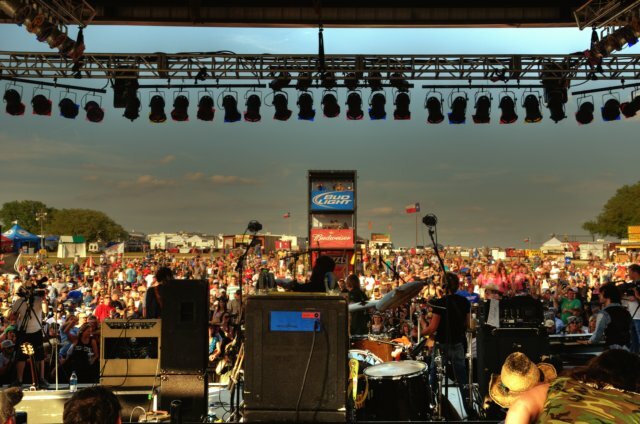 With bands such as Casey Donahew and Six Market Blvd and single artists like Jack Ingram and Charla Corn, LJT is still going strong on the music ranch outside Stephenville. Brandon Rhyder is a 6- or 7-year LJT veteran; when you play so many times you forget. But he does recall the first time he performed there. “I was blown away by all the people and campsites and look forward to it every single year,” Rhyder added. Seeing artists before him like the Josh Abbott Band playing at the festival is a “big milestone in my career,” Green said. These two agree on what they enjoy most and that’s the fans. “There is such an electric energy in the crowd that you can’t help but put the pedal to the floor and give them all you got,” Rhyder said. 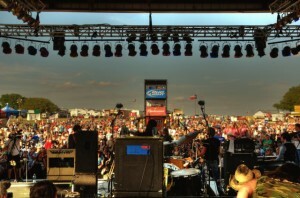 Larry Joe Taylor is considered one of the largest music festivals in Texas. “This is 25 years — I think they have it all figured out by now,” he continued. When the concerts are over the party doesn’t end. You can find many of these artists roaming around on their ATV’s, pulling into campsites and playing a little acoustic music for the fans. “Going around and playing at campsites” is one of Green’s favorite things about LJT. If you don’t make it past midnight just keep your eyes peeled in the crowds and while wandering around. Many artists like to join the festivities with the fans. It’s safe to say that at 25 years, the LJT Music Fest is one of the biggest and best music festivals around. So remember your tickets when next spring rolls around and join in on one of the craziest five days you’ll have in your life.